With the decision to build Music City Center during a recession, Nashville invested in itself – and spurred a great deal of private investment, too. When the Opryland USA theme park closed in 1997, Nashville business leaders looked at what the city needed to do to make sure the tourism industry stayed on track. They concluded that Nashville needed to build a new downtown convention center or expand the existing one, which had opened just 10 years earlier but was already outdated and failing to reach 80 percent of the conventions and meetings market. Some groups that had met at the facility at Broadway and Fifth Avenue North had started saying a quick “no thanks” when asked about returning. With the arena and stadium opening in a span of less than three years, the late 1990s and early 2000s weren’t the right times to take on another large public construction project. But Samuels and the proposal’s other advocates kept gathering facts to support it, determining that it wouldn’t make much sense to expand the more-or-less-landlocked Nashville Convention Center. They mapped out a series of taxes and fees, each of them targeting tourists, that would produce enough revenue – even by their conservative estimates – to pay off the construction debt for a new building. In the report it produced in 2006, the Music City Center Committee even picked the right site: 15 acres just south of the arena, bounded by Fifth and Eighth avenues, Demonbreun Street and what is now the extended Korean Veterans Boulevard. Belmont University President Bob Fisher, who chaired the committee’s site selection team, says it wasn’t hard to see where a new convention center should go. At the end of a committee meeting not long after he was appointed to lead that team, Fisher and the rest of the group went outside the Adventure Science Center, and he pointed to a spot across the interstate. He wasn’t really; the team did examine some other sites. But the same location off Demonbreun kept coming back as the right place to build. The question of whether to build a new convention center became an issue in the campaign to succeed Mayor Bill Purcell in 2007. The candidate who was most enthusiastic was Karl Dean, who said making Nashville a competitor for bigger conventions would be a priority of his administration. “If the choice were between other cities and Nashville, people would come to Nashville,” he said in an interview one day that spring. Dean, who was born in South Dakota and raised in Gardner, Mass., had been the city’s top attorney under Purcell. The two of them had met in jail in the early 1980s. Neither man was in trouble. Both were helping someone who was. Like Purcell, Dean was hired as an assistant public defender after he graduated from Vanderbilt University Law School. He had briefly returned to Massachusetts to practice law, but he came back to Nashville in 1983 to marry his law school classmate Anne Davis, a Music City native who convinced him that her hometown would be a better place to build a life together than industrial Worcester, Mass. “I came here for education and I stayed for love,” Dean often said. In 1990 he ran for office for the first time and was elected Davidson County public defender. He was re-elected in 1994 and 1998, then tapped by Purcell to serve as the Metro law director in 1999. When he started running for mayor, the baseball fan said education, public safety and economic development were the “three pitches” he’d have to hit every day in office. He pointed out that the city’s ability to provide for each of those needs affects the other two. “It’s all connected,” his campaign slogan said. After Dean was elected in 2007, he moved quickly to position a proposal to build a new downtown convention center for success. The day before he was sworn in, he told the Nashville Downtown Partnership that he would ask the Metro Development and Housing Agency to prepare a plan for moving forward within 90 days. Soon the city’s finance director, Rich Riebeling, and others were working long hours to put together a financing package. Businessman Steve Turner remembers Dean convincing a national organization to commit to meeting in the planned new center before the city had even bought the land for it. “We get back on the airplane, and I look over at the mayor and I say, ‘Mayor, I’ve been in sales all my life, and I’ve never seen anything like that,’ ” says Turner, whose father and grandfather co-founded Dollar General. A few months after Dean took office, the Great Recession began; he liked to point out that those two events were not related. After the national economy’s problems became much more apparent in the fall of 2008, critics began to say the plan to build a new convention center was wrong. Metro government’s revenues even declined one year, which was a first. But it was exactly the right time to push forward and give people another reason to come to Nashville. A city has to be willing to invest in itself, to bet on its own success. When the Metro Council voted 29-9 in January 2010 to build the $600 million convention center, Nashville’s confidence impressed a lot of people. It set a tone. Building at that moment also was important from a practical standpoint. The price of steel and other materials was never going to be lower, which meant the city saved at least $50 million. More than 7,000 people got construction jobs at a time when such jobs were few and far between. And the new convention center would open when the economy was recovering and big groups were starting to travel freely again – and looking for a new place to gather. 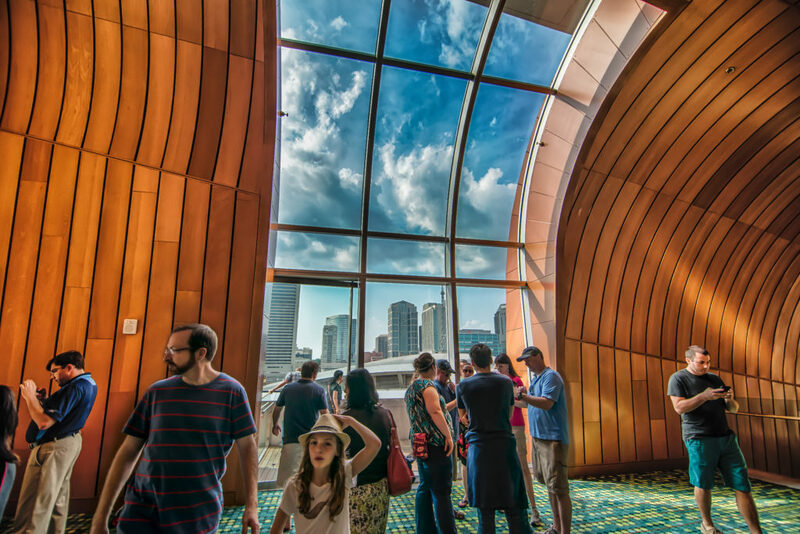 The Music City Center opened in the spring of 2013 with 1.2 million square feet of meeting and exhibition space. The Omni Nashville Hotel opened just across Fifth Avenue South the following September, and it wasn’t – and isn’t – just any convention center hotel. The Omni is attached to the Country Music Hall of Fame and Museum, which now has twice as much space for its 2.5 million artifacts as it did when it moved to SoBro in 2001. Once again, collaboration made all the difference. The city government, a private company and a not-for-profit museum joined forces to expand the hall of fame and create a unique convention center campus. By February 2016, the Music City Center had seen 1.6 million visitors, amassed $70 million in reserves and generated more than $840,000 a day in economic impact. That was a tribute to the blazing success of Nashville’s entire tourism industry, to be sure, but also to the performance and impact of the new convention center itself, which created new opportunities for the industry and the city. One example: The Country Music Hall of Fame and Museum brought in more than 970,000 visitors in 2014, a 45 percent increase over 2013. In 2015, the attraction reached a new milestone: 1 million visitors. Baseball was played at Sulphur Dell just north of downtown as early as the 1860s, and now it’s back. 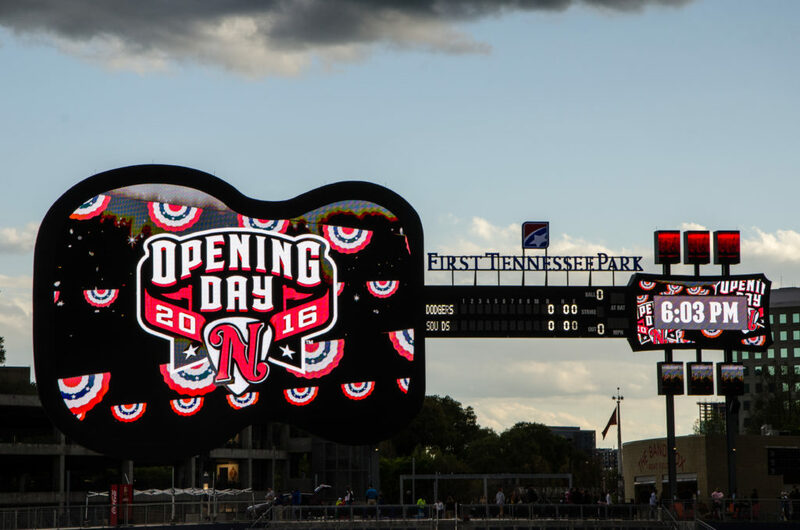 First Tennessee Park opened in 2015 with an even bigger guitar scoreboard and a new mascot to inform and entertain Nashville Sounds fans of all ages. Mayor Dean also built sports and entertainment venues that transformed two sites in or around Nashville’s downtown. The Nashville Sounds, the city’s AAA minor league baseball team, had wanted a new home for years. Greer Stadium, where they had played since 1978, was showing many signs of wear and tear by 2004, when Mayor Bill Purcell agreed to build a new ballpark on the old riverfront Nashville Thermal Transfer Plant site. But the Sounds’ owners at the time struggled to make their financing work, and that deal fell apart a few months before Purcell left office. During Dean’s second term, with the Music City Center getting ready to open, the administration began working with the Sounds’ new ownership group – led by Frank Ward – on a plan for a new stadium just north of downtown at Sulphur Dell. The site’s baseball history goes back to the 1860s. It was the sport’s original home in Nashville, the place where Babe Ruth and Jackie Robinson and Joe DiMaggio had played. Baseball is a game that lends itself to poetry, and there was a certain poetry to returning baseball to Sulphur Dell. The area had become an eyesore, dominated by parking lots and vacant properties in the shadow of the appealing Germantown neighborhood. Now Nashville had an opportunity to make it beautiful again. The Metro Council agreed, the architects and construction team worked extremely hard and fast, and the Sounds started playing at First Tennessee Park on April 17, 2015, less than 15 months after the groundbreaking. It instantly became one of the best ballparks in the country. Once the stadium was approved, dozens of developers started making plans for the area. Once again, public investment inspired private investment, and the ballpark tied together downtown, Germantown, Salemtown, Jefferson Street and other parts of North Nashville. Metro Councilwoman Sharon Hurt, who was elected after the ballpark was built but has run the Jefferson Street United Merchants Partnership since the late 1990s, expects the neighborhoods around the stadium to see a big impact. “A community that had been neglected, a community that had been downtrodden for so long, is now seen as a bright and shining star,” Hurt says. Dean made numerous capital investments in other neighborhoods, too, including $629 million for construction, expansion and renovation of public schools. There were new libraries in Bellevue and Goodlettsville; new police precincts to serve Madison and areas southwest of downtown, such as Edgehill; replacement buildings for two of the six existing precincts, which were able to reduce their coverage areas, and nine new fire stations all over Nashville. Antioch got a new library, community center and park where part of the old Hickory Hollow Mall used to be. The mayor built 40 miles of greenways, gave Centennial Park and Shelby Park some long-needed upgrades, built Cumberland Park on the east bank of the river across from downtown and opened new community centers in 12South, Sylvan Park and Joelton. He built the 28th/31st Avenue Connector to reconnect North Nashville and West End Avenue, which had been on many people’s wish lists for years. The city also started offering express bus service on four major corridors and created a free downtown circulator while more than doubling the Metro Transit Authority’s operating budget in eight years. Dean “moved the needle big-time on transit,” Metro Councilman Anthony Davis says. 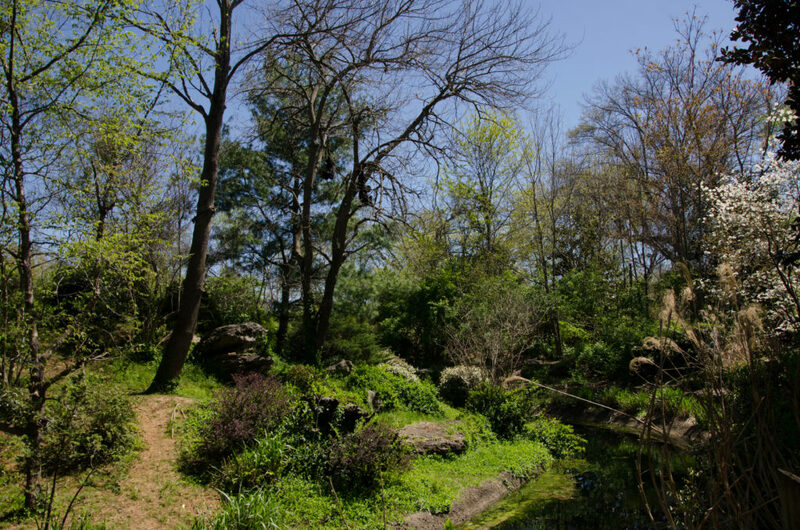 Perhaps most importantly for Nashville’s long-term future – for what the city will look like 100 years from now – Dean developed a plan in 2011 to preserve 22,000 acres of open space by the year 2035. Then he went out and started preserving them, acquiring more than 4,500 acres for parkland by the time he left office in 2015. Dean “built a lot of stuff – and great stuff – for our city that really connects a lot of the cultural fabric together,” says his successor, Mayor Megan Barry. Nashville acquired more than 4,500 acres of open space and built 40 miles of greenways from 2007 to 2015. The right answer was a riverfront amphitheater and another new park, a gorgeous green space where Nashville residents and visitors could go to relax, exercise, enjoy nature or hear a concert in the open air, in the heart of the city. When there’s an opportunity to combine music, parks and the river, which are three of our city’s greatest assets, that’s what we call playing to our strengths. Ascend Amphitheater opened in July 2015 with two nights of more or less solo acoustic shows by country star Eric Church, who happily got outside his comfort zone as he made some history. Live Nation, which operates the amphitheater under an agreement with the city, packed a full summer’s worth of shows into a significantly shortened opening season, filling a gap in the list of concert venues Nashville could offer to touring musicians. Now it’s more difficult for the most popular bands and solo artists to skip Music City. And even more of those acts are living here now, playing more and more kinds of music.